I think that most people would agree that the Minnesota Orchestra is in the midst of a golden age. Under the artistic leadership of Music Director Osmo Vänskä, and the administrative leadership of President and CEO Kevin Smith, the ensemble has leapt from one success to another. Rave reviews, award-winning recordings, enthusiastic audiences, historic cultural exchanges… the Orchestra is enjoying them all right now. I don’t wish to take anything away from its current, well-earned successes. 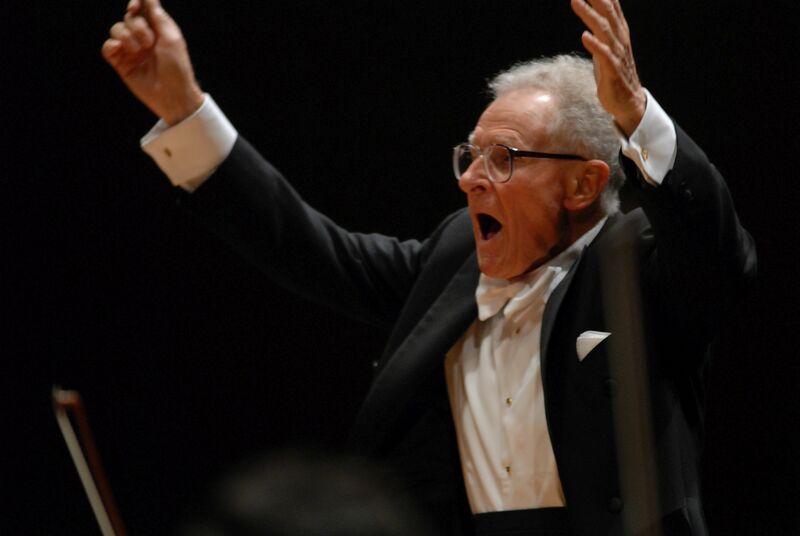 But in many ways, the foundations of today’s successes were laid by another man: former Music Director, and long-time Conductor Laureate Stanisław Skrowaczewski. Stan passed away yesterday at age 93 after a series of strokes… but his immense legacy will live on across the world through his dozens of recordings, his riveting biography Seeking the Infinite, and the memories of those he touched.